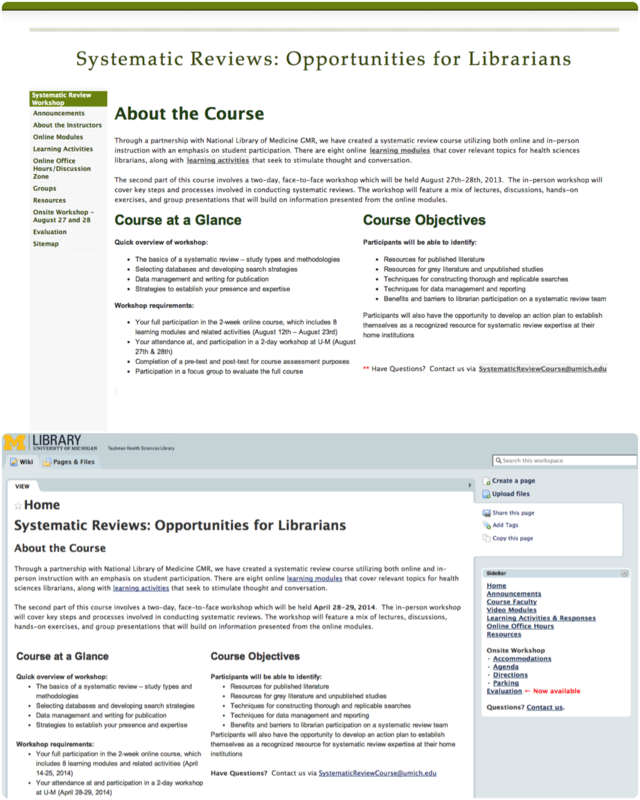 First and foremost, I am a librarian at the University of Michigan, where I manage technology projects and resources, consult with library faculty on effectively incorporating technology into their curriculum, as well as identify and build partnerships with instructional technology units throughout the university community. For this purpose, I create educational materials for training users on various software and web tools, always taking into consideration the user experience to make the processes described in the documents as simple as possible. In addition to consulting with faculty, I manage departmental projects, such as implementing the new i>clicker audience response system and creating a video clip digitization process. Recently, I enjoyed collaborating with my colleagues to migrate the Taubman Health Sciences blog to the new library Drupal platform, and redesigned the THL Systematic Reviews workshop course website for a better user experience. Simultaneously, I am also a practitioner: a photographer, videographer, communicator, web developer, and graphic artist. The Visual Communication Technology program at Bowling Green enabled me to focus on my main interests of digital video and photography while gaining a comprehensive understanding of web, print, and design conventions. I have included examples of my design and video work, and digital photography. Most recently, I have been experimenting with iPhone photography, as I find the camera and photo editing tools to be of surprisingly high quality and easy to use. For more information, feel free to review my vita, and I encourage you to contact me if you would like to know more about any of the materials I have presented here.